Grab an esky, pack a picnic basket, go soak up the sun. 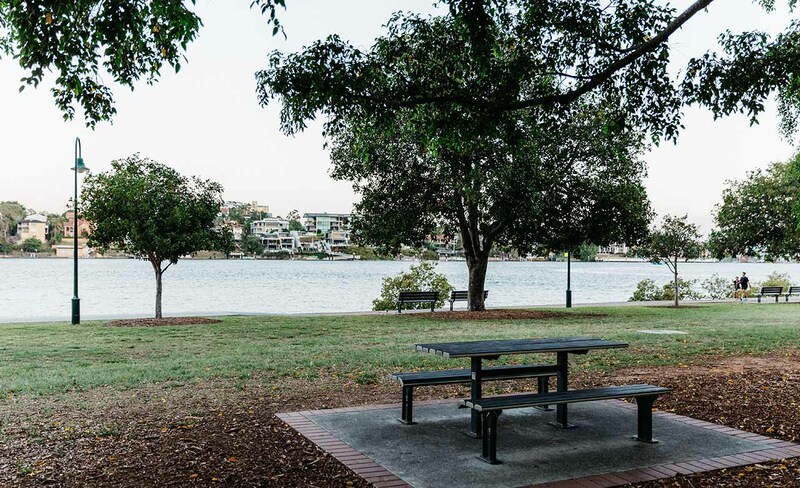 If the sun is shining and you're in the vicinity of one of these leafy parks in Brisbane, then your senses will be overwhelmed with the telltale signs of barbecuing and picnicking. Your eyes will spy people sitting on the grass, your ears will hear the distinctive sound of happy chatter, your skin will feel the warm glow streaming down from above, and your nose will be filled with the scent of tasty fare. 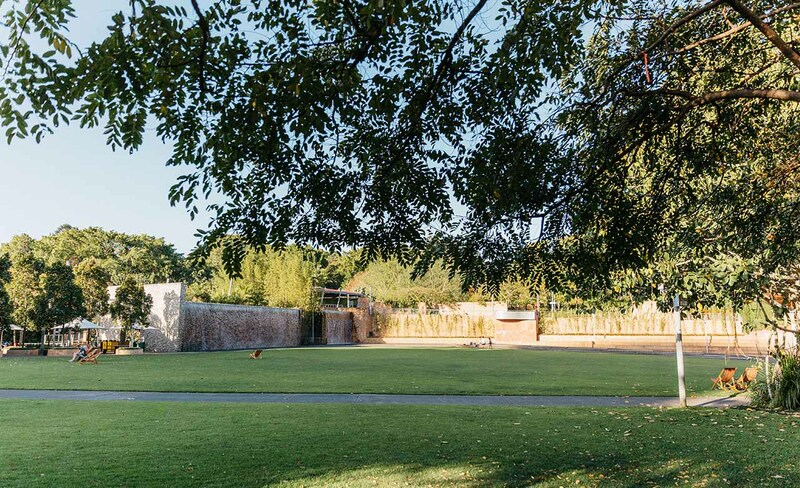 Yep, there's nothing better than an afternoon of eating, drinking and being merry in one of the city's green spaces — particularly if you're in one where you can actually have a beverage. You may not know this, but there are only five areas within Brissie parks that allow alcohol to be consumed. There's a couple of rules, too: anyone keen for an outdoor tipple must also be consuming a substantial meal at the same time, and you can only enjoy your time outside between 10am to 8pm. With all of that in mind, here's the quintet of spots just waiting for you to take a picnic basket and a few bevs to during spring and summer. Everyone has enjoyed a beverage in New Farm Park at least once, and probably more than that. You've most likely strolled around markets, seen a movie and participated in some kind of sport, too, but it's the simple joy of chilling and sipping on something soothing that sticks in your mind and keeps you coming back. 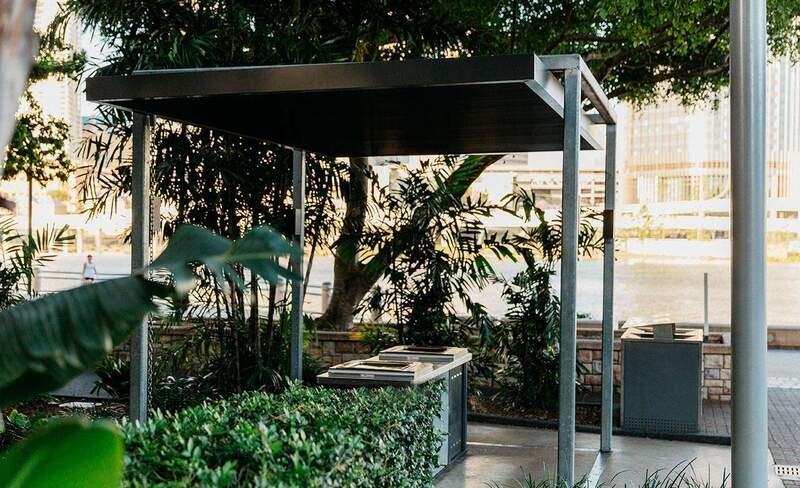 It is the only outdoor area in Brisbane where you can have a drink anywhere you like, after all. As a result, there's no such thing as a bad spot here, whether you're keen on looking out over the river, sitting near the rose garden or enjoying the sea of green that's around you. 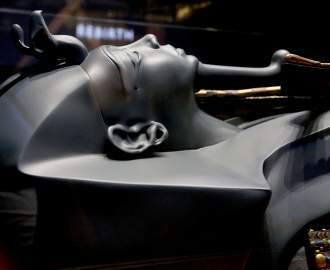 Among its many merits is New Farm Park's proximity to nearby shops, ensuring that even if you spend all day laying around, you're never going to run out of supplies. When it comes to this popular section of one of Brisbane's most popular inner-city parks, the name says it all, really. If you want to spend some time eating outside while also consuming a few drinks to mark the occasion, then you're going to want to head to the Roma Street Parklands Celebration Lawn. It's where most of the park's major events are held, so you might want to check the lawn's calendar before you make a day of it. That said, with such a huge stretch of grass to sit on — plus artwork, a living mural and a dramatic water wall to look at — you're definitely going to have some company whenever you stop by; but hey, isn't that what a picnic in the great outdoors is all about? How do you make a picnic even better? And no, we're not just talking about going somewhere where you can BYO beverages. Combine your eating and drinking with a killer view, and you'll never want to go indoors ever again. 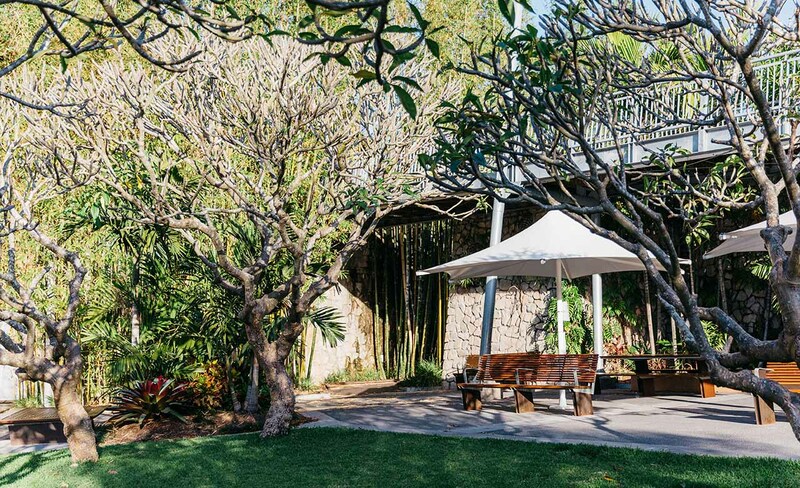 Because one alcohol-friendly area isn't enough in a 16-hectare space like Roma Street Parklands, their Lake Precinct is their second spot that allows a tipple or two with food — all while roving your eyes over the watery haven that is the massive central lake, of course. You'll be so relaxed watching the ducks swim by, you'll forget that you're actually in the middle of the CBD. Now, that's the life. If you haven't already guessed by now, the folks responsible for naming the various spaces in Brissie's various parks really like to let everyone know just what they'll find. 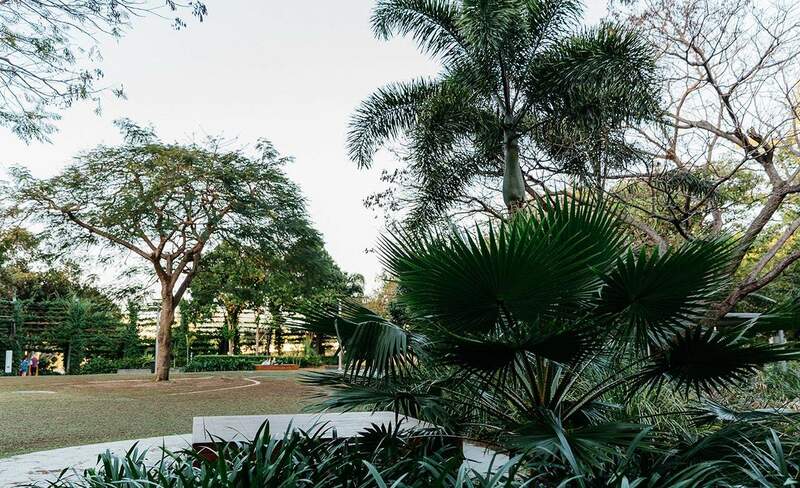 At the South Bank Parklands Riverside Green, you get two things: a gorgeous riverside spot with a city view to match, and some lush, lush greenery to sit on. Nice. Sadly, you'll have to stay away from the redeveloped, futuristic-looking playground, as it's only for kids aged 15 and under. That doesn't mean that there's no outdoorsy fun to be had here though, thanks to its close proximity to Streets Beach and the boat pool. A whole island just for picnics? We'd like to say "yes, really", but this is more a "well, kind of" affair. 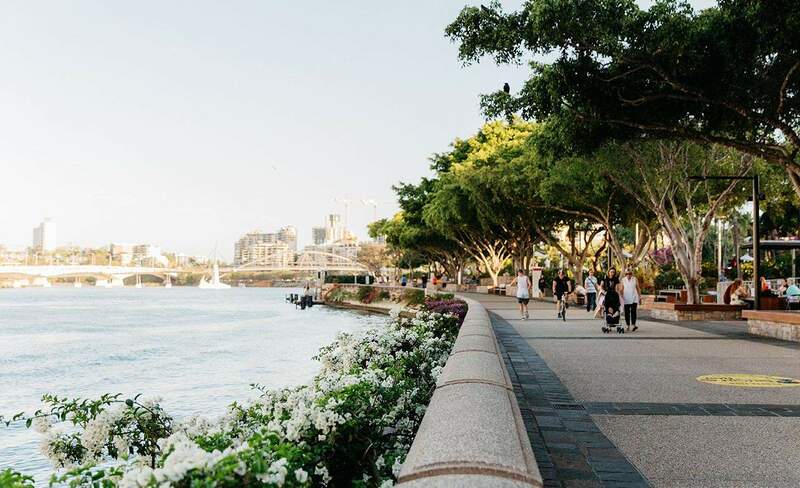 The South Bank Parklands Picnic Island isn't actually a land mass surrounded by water, as anyone who has been to South Bank before knows, but it is a space dedicated to feasting, knocking back a few beers and enjoying Brisbane's (usually) glorious weather. 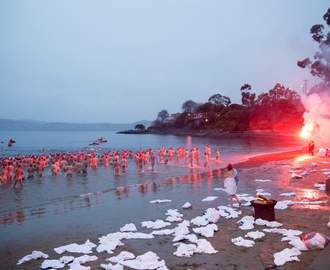 Don't worry: even if the sky opens here, the barbecues are undercover, and they're free too. We recommend having your own sausage sizzle with a few beverages in hand, lazing about on the grass and even indulging in some inner-city wildlife-spotting thanks to the surrounding foliage and the neighbouring fish-filled pond.